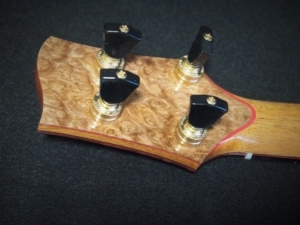 This is is a first: A Kimo for Kimo Super Tenor Ukulele. No, I didn’t build it for myself. 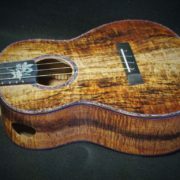 This one is going to Kimo in Hawaii. Kimo ordered a pretty standard build in a new super tenor shape. 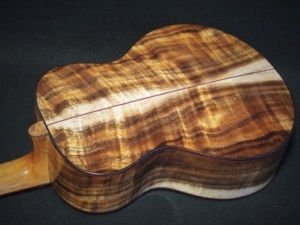 He did favor this nice set of compression curl Koa for back and sides, and for the top he wanted the brightest spruce I had in stock. This Alaskan Sitka Spruce won the tap tone contest. 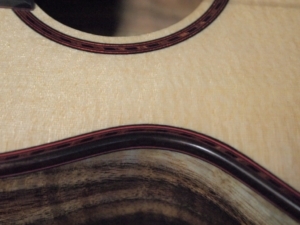 The growth rings are exceptionally tight and uniform giving this wood a very bright and clear tap tone. I counted the rings and realized that it took about 300 years to grow this little piece of wood. I retained as much of the sap wood as possible per Kimo’s request. The build is accented with red/black rope-style purfling and red/black fiber. The accent wood is some of the last of my Asian Satin Wood Burl and the finger board and bridge are basic black ebony species. 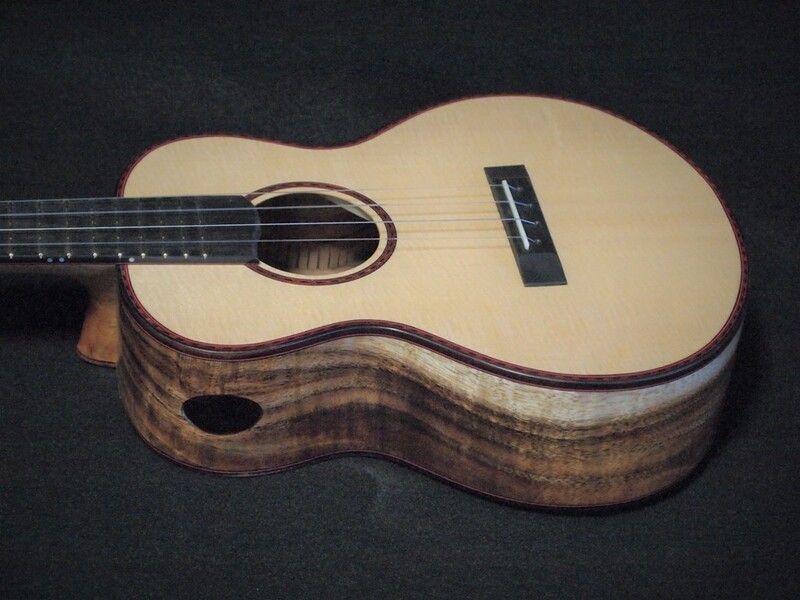 For strings, we went with a La Bella wound “G”, a Thomastik wound “C” and GHS Flourocarbon “E” and “A”. Also added was a Mi-Si under saddle pick-up. 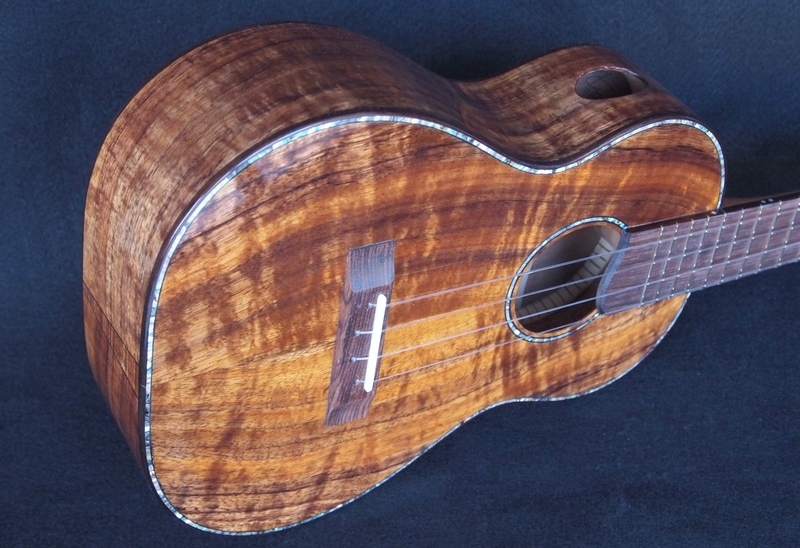 A Kimo for Kimo Super Tenor Ukulele–hey Ma, I’m going to Hawii-ya!